Night at the Museum font here refers to the font used in the poster title of Night at the Museum, which is a fantasy adventure comedy film released in 2006. 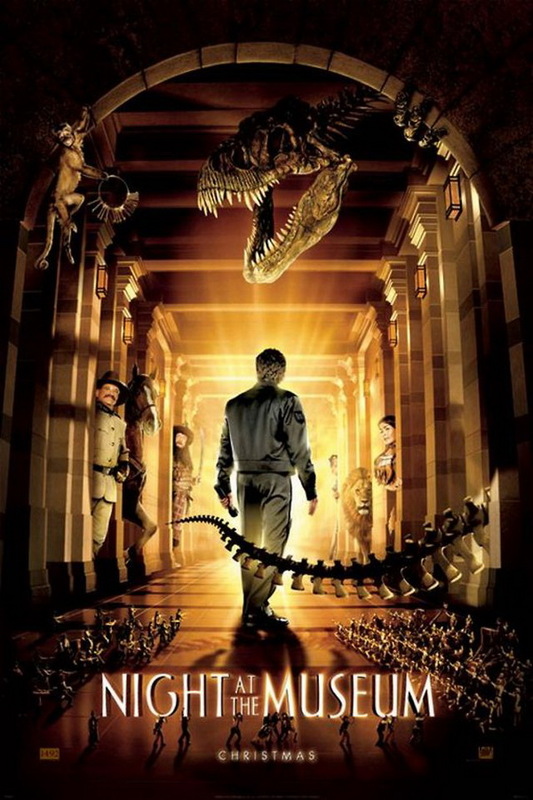 The film revolves around a newly recruited night security guard at the Museum of Natural History who finds that an ancient curse causes the animals and the exhibits there come to life suddenly. The font used in poster title of the film is very similar to Allise designed by Ethan Paul Dunham. The font is a commercial one and you can purchase it here. The Allise font identified above is not available for free, please follow the link above and purchase the font. Meanwhile, you can take a look at our collection of fonts for cars, pop music and apparel as well as round-ups of new & fresh fonts around the web. In addition to Night at the Museum, It seems we can’t find other examples (logos, movie posters, album covers etc.) of Allise typeface in use.